If you’re like many other St. Charles Mazda drivers, then you’ve probably realized that models like the 6 and CX-9 represent the perfect intersection of value and performance. At the same time, to keep that performance high, you need a local garage that you can trust. Ask your friends and neighbors and one name that’s bound to come up is Rx Automotive. Available for both general maintenance and repair, we’ve established a local reputation for quality Mazda work from wheel alignment to AC flushing to rotary engine rebuilds. What sets us apart from other St. Charles auto repair shops is our unique blend of technical expertise and customer service. Whether you’re from Wayne or Batavia, when you come to Rx Automotive, you’re treated to the type of customer-mechanic relationship that you deserve. 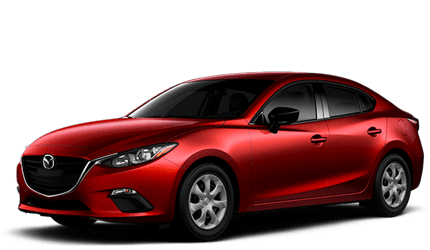 We’ll show you what’s going on with your Mazda 3, Mazda 6, or Mazda CX-5 before we begin work, so you’ll know exactly the process we’ll take when bringing your Mazda back up to speed. In addition, our crystal-clear approach means there will never be any price confusion and you’ll know exactly what to expect on the final bill. In terms of technical Mazda repairability, you can count on our technicians to be up to date with the latest techniques and we only use top grade parts that pass Mazda OEM requirements. Compared to other automakers, Mazda work can be tricky because of their innovative designs. However, all of our technicians are well-versed in both current and past models like the CX-5 and Miata and have the skills needed to perform perfect service work at all times. By speaking to our technicians directly, you’ll get a true feel for their mechanic sense and rest comfortably knowing that they are the right team for the job. As an expert Mazda service provider, Rx Automotive has attracted customers from many locations in the St. Charles area. Drivers from Campton Hills, Geneva, and many other locations have chosen us for our reliability and consistent, top-level work. As an independent auto garage, we’re also able to offer prices that come in dramatically lower than local Mazda dealerships in many cases. Without the large showroom overhead, our expenses are kept small and we are able to offer very competitive rates. Choosing the right mechanic is a major decision – it both extends the life of your Mazda and directly affects your safety and comfort on the road. At Rx Automotive, we strive to be the best local option and the number of satisfied customers is proof that we’re taking auto repair to the next level. Join the list of our St. Charles clients and you’ll finally be able to rest assured that your car is in competent hands. Call or stop by our facility to set up a service or repair visit.